Go back in time and experience the wrath of the Gods in Kronos slot. Kronos slot is a spin-off from the classic and hugely popular Zeus Slot, and follows on from the Greek Mythology theme. It’s rather fitting that Kronos is the father of Zeus, a hugely powerful Titan who was imprisoned by his son in the fiery pits of Tartarus. The slot offers excellent graphics, as we’ve come to expect from WMS Gaming, as well as engaging and realistic sound effects to immerse the player in a captivating story set many years ago. 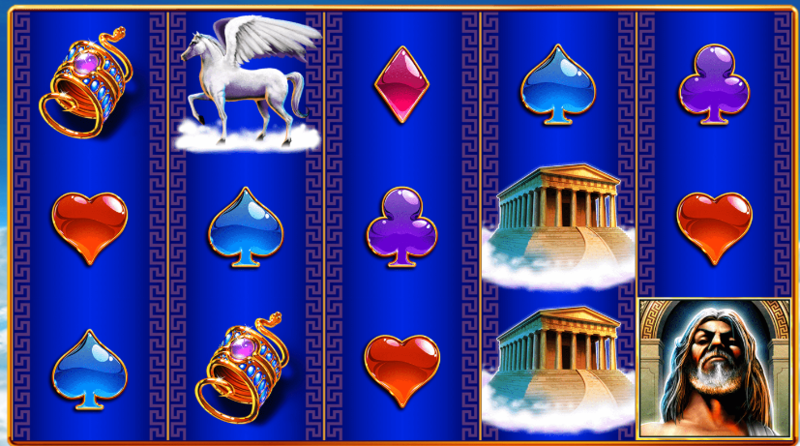 Set against a blue sky high up in the clouds, Kronos slot takes the player back in time to when the Greek Gods and Titans once ruled. Kronos slot certainly has many similarities to Zeus slot, but with a few key differences. This is a 5 reel, 20 payline slot which offers up to a whopping $60 max bet, with $5 bet increments after the first $5, and a minimum bet of $0.01. The overall RTP is 95.06% coming from a combined progressive jackpot contribution of 2.99%, and the base game RTP of 92.07%. One of the key differences between Kronos slot and Zeus slot is that here the winning combinations pay both ways, right to left or left to right. Additionally, Zeus slot pays for 2 or more symbols of a kind while Kronos requires 3 or more. This is to even things up for the change in the pay being both ways. Aside from this though, the game play is mostly the same. The payout from each of these will of course depend on your original bet. You can choose the total number of win lines, and the amount to bet per line to decide your total bet. The wild symbol in this game is depicted by a Lion and can appear anywhere on reels 2, 3 and 4. It can replace all other symbols apart from the feature symbol, the Golden Medallion with a K at the centre. Kronos slot also features stacked symbols which help to increase your chance of a winning combination. There is only one bonus feature present in Kronos slot, and this allows you to win free spins. In order to activate this, three or more golden medallions must appear anywhere on the display (remember, wild symbols do not count towards this bonus). 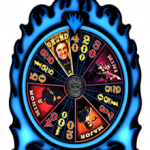 The number of gold medallions dictates how many free spins will be awarded. Three Scatters: Awards 10 free spins. Four scatters: Awards 25 free spins. Five scatters: Awards 100 free spins. During the free spins, if three or more feature symbols appear then these additional free spins will be added to the bonus. Is Kronos Slot Right For You? Overall, Kronos slot offers a attractive design which is likely to appeal to those who are a fan of the original Zeus slot. With a couple of changes to how the slot works, it certainly offers something new while keeping to the same theme and general game play. This is hardly surprising as Zeus slot is certainly one of the more popular games from WMS. As a G+ Deluxe slot, you get great detail and brilliant animations all of which combine to provide the player with an immersive experience.